Attending a trade show can be overwhelming for attendees. There are usually more booths to visit than time during the show so the way to be able to see everything you want or need to is by getting prepared ahead of time. Advance preparation for your trade show should include appointments, a checklist, show floor map, and a schedule. 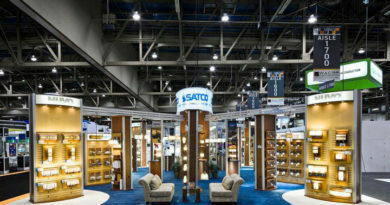 Here are specific tips for each of those ways to prepare for the next trade show you attend. Check and see if any of your vendors only see attendees by appointment only. Make those appointments as early as possible so that you can be sure you won’t miss them and so that you can get your preferred time. If possible choose the first or the last appointment of the day so that you can plan the rest of every day around those appointments. If you have to make appointments throughout the day, leave time in between in case the run over and leave at least one day to walk the trade show floor.